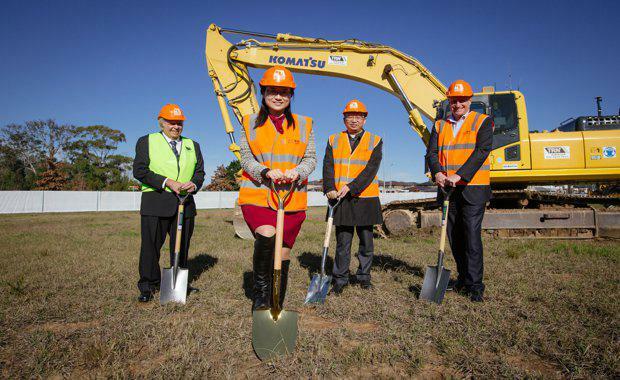 Civil and subdivision works has begun on Dahua Group Australia’s (Dahua) $1 billion New Breeze project located in Sydney’s south west, representing the largest masterplanned community in the Edmondson Park area. New Breeze in Bardia spans 89 hectares and will comprise 1280 new homes with a range of housing types. The development will include large high quality parks and playgrounds, a sports oval, bike and cycle paths and 40 hectares of open spaces for recreational activities. Dahua purchased the land parcel from UrbanGrowth NSW late last year, and while the price was not disclosed, it could have been a possible $300m, according to The Australian Financial Review. Lot sizes in the estate vary from 250 sqm to over 647.7 sqm with prices starting from $330,000 to $670,000. Civil contractor TRN Group was awarded a contract for civil infrastructure and subdivision works for the first 360 lots. The company will construct the new McDonald Road which will ultimately become a collector road linking New Breeze to the future Edmondson Park town centre. It will connect the existing McDonald Road to the south and Campbelltown Road and the town centre to the north. Kith Clark, Development Director for New Breeze and APP Corporation added, “Hundreds of jobs are being created for local businesses before, during and after construction for this project. New Breeze is located in one of the most highly sought after locations in the south west. The state government has committed to invest over $3.6 billion in its Western Sydney Infrastructure Plan over a 10 year period. Investment in transport (bus and rail), health, education and community infrastructure is part of this plan. New Breeze will also benefit from major road upgrades underway for Campbelltown Road and Camden Valley Way and the proposed second airport at Badgerys Creek. New Breeze is only eight kilometres from Liverpool’s CBD and about 45 minutes from Sydney CBD. It is at the gateway to the expanding Sydney South West Growth Centre and provides easy access to the proposed second airport at Badgerys Creek.